We’re so excited. Our first videocast is out! 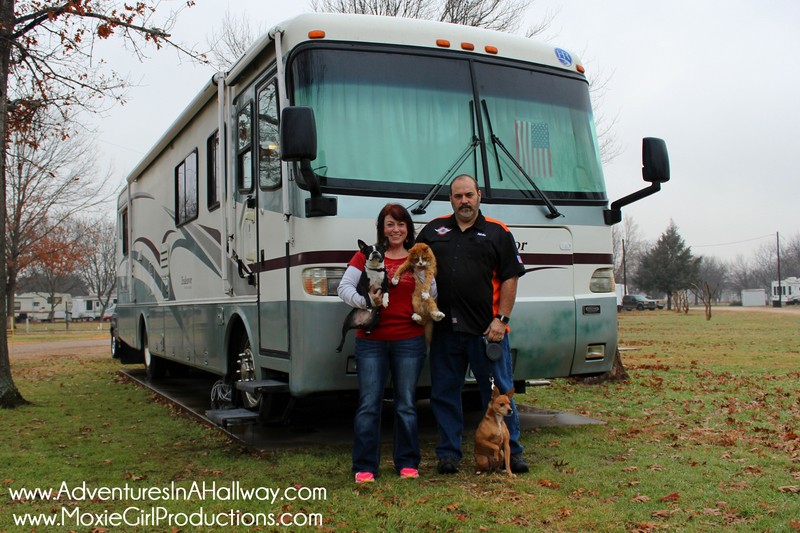 We’ve been wanting to do a podcast and video since we started the RV lifestyle, but it’s been tricky to pull it all together – what with traveling so much, dealing with winter challenges, and figuring out what formats we wanted to use. We finally decided to just go for it. At 37 minutes, our first vid is a bit long, but we needed to catch everyone up on our first 7 1/2 months. 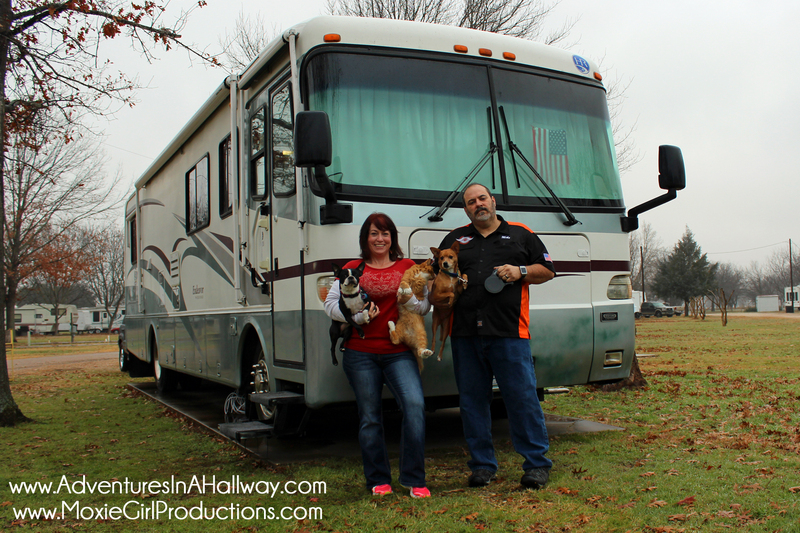 Going forward, they’ll mostly be short, quick hits, and we’ll show you all kinds of cool stuff – like how the rig is decorated, how we handle various RV chores, what our campground experiences are like, product reviews and more. So, please take a few moments to watch us and share, share, share! Thank you! 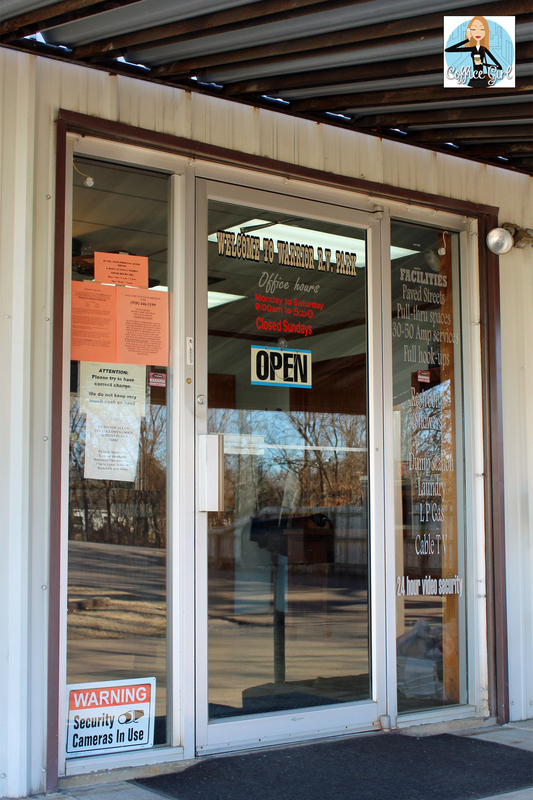 Mike was working at Myers-Duren Harley-Davidson, so our next stop after Waco was Tulsa. 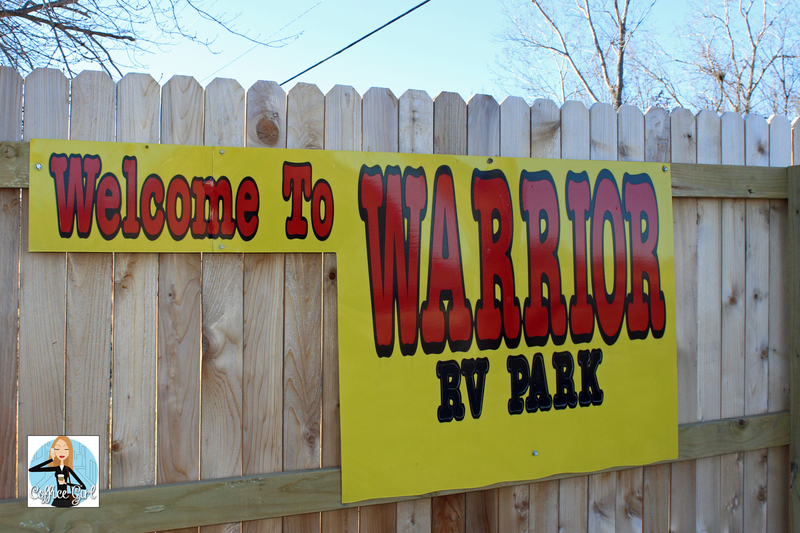 We chose Warrior RV Park because it was fairly close to the dealership, had good reviews, and was reasonably priced. 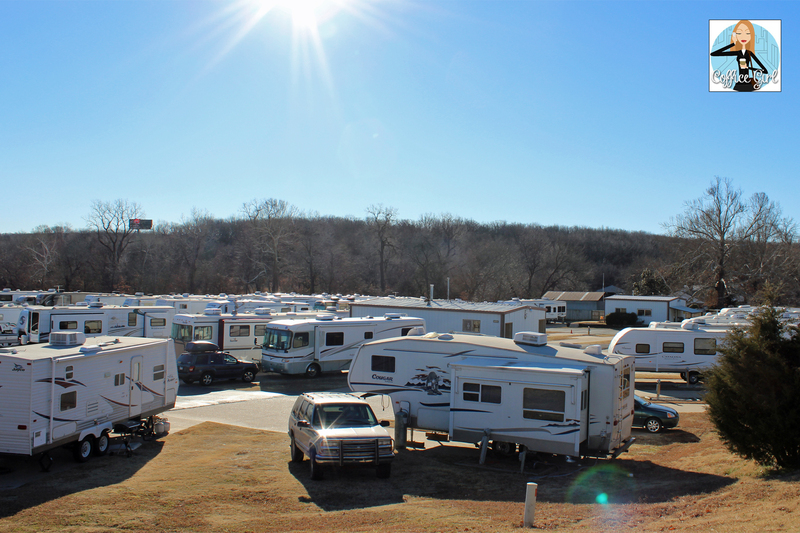 $28 a day included a pull-through site with full hook-ups and a grassy strip with a picnic table. 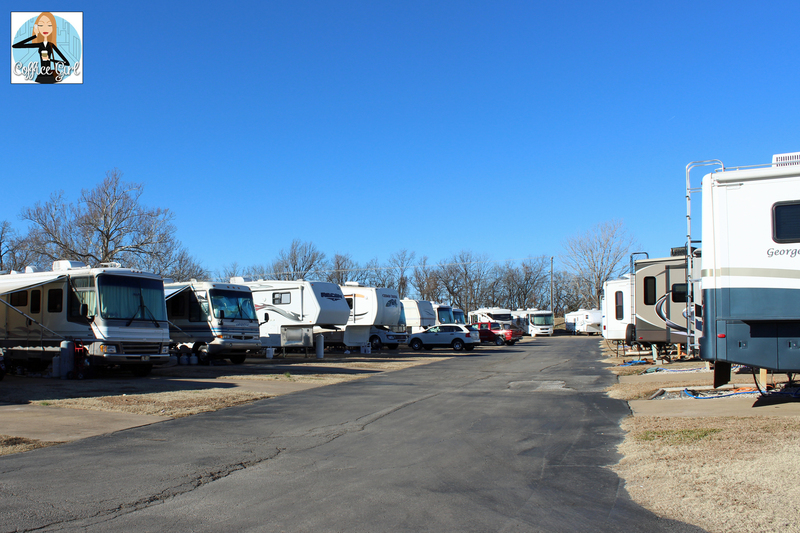 Warrior RV Park has 38 pull-throughs with 30- or 50-amp service and concrete pads that are 8 feet by 15 feet. There are also 17 back-in spots with 30-amp service. There’s a dumpster on the back side for trash along with a larger grassy area for walking the dogs. The highway runs next to the park, so it can be loud. Our rig’s insulation kept the road noise to minimum when we were inside. A bathroom/laundry building is roughly in the center of the park. The park has decent free Wi-Fi and a ridiculously large selection of free cable channels. We especially appreciated the propane tank on property because we wanted to have plenty of propane as we headed out to Milwaukee. My memories of our stay in Tulsa will always be bittersweet. 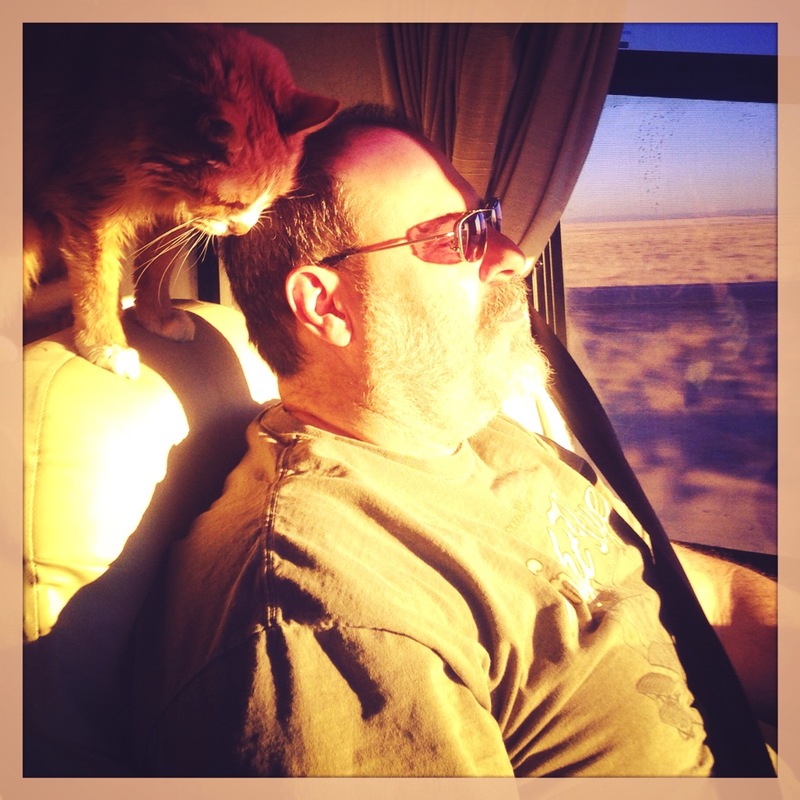 We had to say goodbye to our Charlie kitty while we were there. He developed a saddle thrombus in the afternoon on January 14th that cut off the blood supply to his legs. Mike was able to leave work early, bringing the Jeep with him, and we took Charlie to a vet Mike’s students had recommended. The vet and his assistant were very kind, but there was nothing they could do to save our boy. Since Charlie was 23 years old, we knew his time was going to come soon. It still broke our hearts, though, to have to let him go. He was with me for half my life, and he’s irreplaceable. When I learned that the wife of the couple that owns the park rescues cats, I gave her Charlie’s leftover food and made sure to buy a chocolate bar that she sells for fundraising. I rescued Charlie all those years ago, and it made me feel good to help someone else trying to do the same. 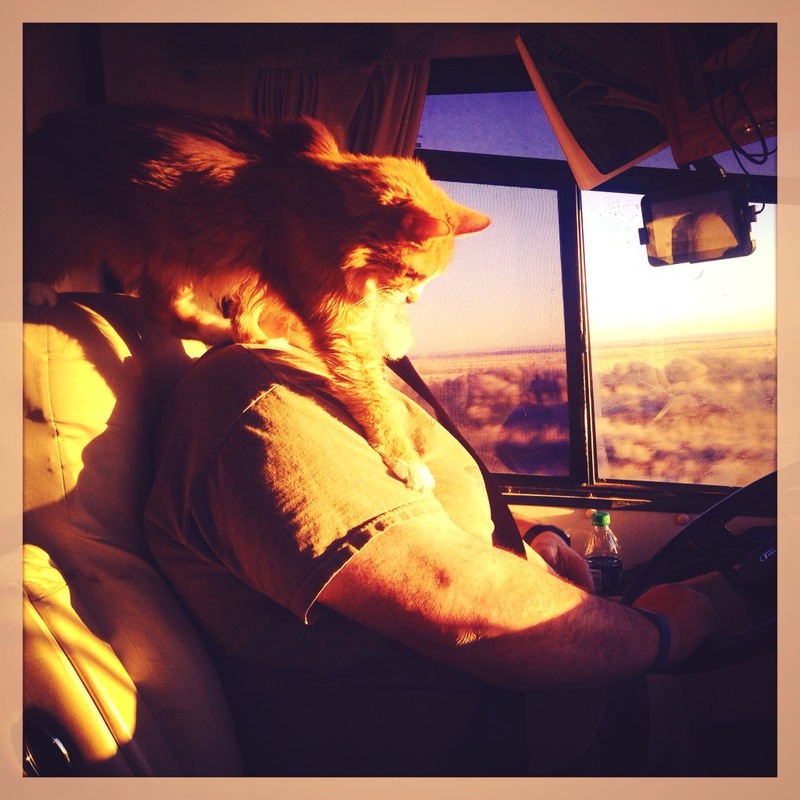 In an RV, it’s important to know how to handle those pesky backseat drivers. 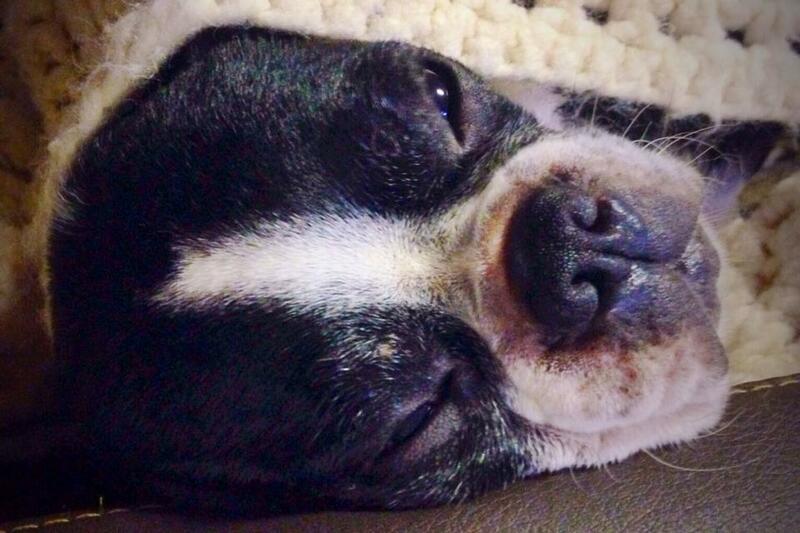 Our Boston Terrier Sadie (also known as the Pupkin, Crumb Cake, and Goose) loves to snuggled next to me in the passenger seat as we motor down the road in the rig. 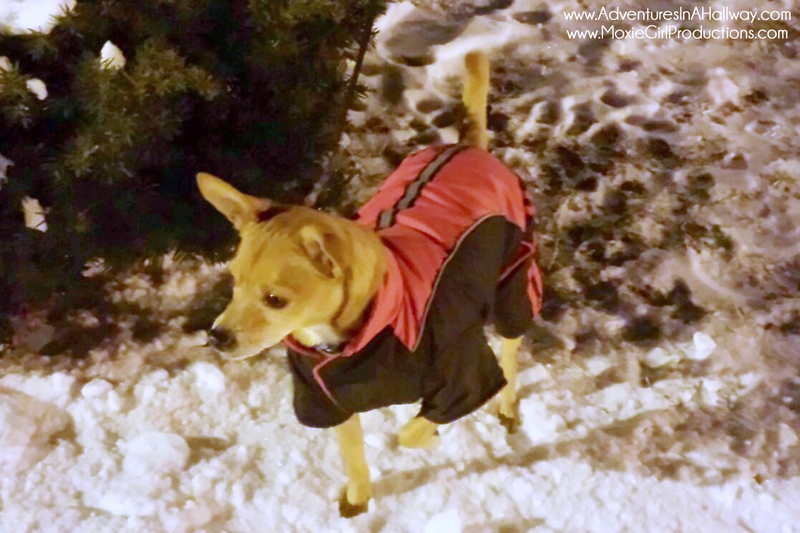 Our dogs are desert dogs, not familiar with – or built for – cold weather. 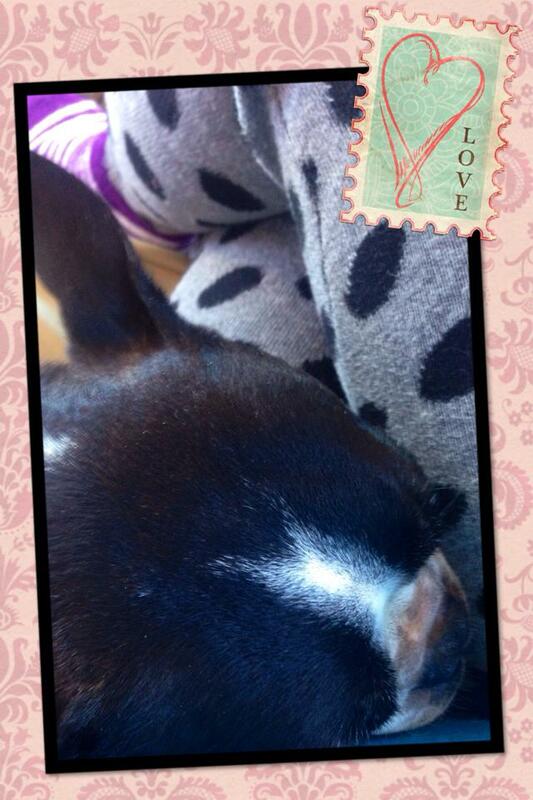 But, they’ve been troopers, particularly Sadie, our little Boston Terrier. She’s a bit of a princess, but we’ve discovered that she loves to romp in the snow. She’s also a no-nonsense girl. While Meeko will sniff and hunt for the perfect spot to relieve himself, Sadie gets down to business right away so she can return to her warm blanket by the propane heater. We’re doing our best to make sure our bark babies are appropriately outfitted for the freezing temperatures, but not everything works well. We worry most about the extreme cold damaging their paws, so we’ve tried booties. They just don’t stay on. We got Meeko a snowsuit with legs, but he hobbled awkwardly around, giving us a plaintive look, big brown eyes pleading to have the miserable thing taken off of him. We obliged and try to make it quick when it gets into the single digits or lower. 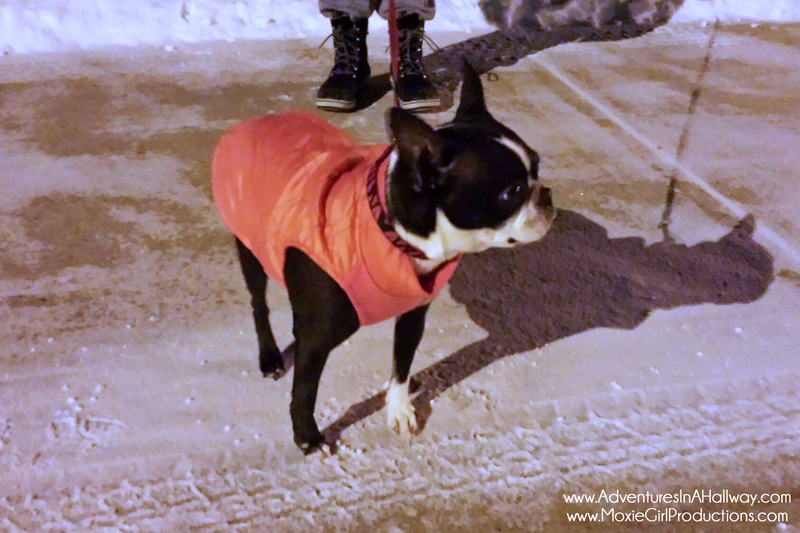 Sadie likes her quilted jacket, but it doesn’t offer much more than torso protection. I guess we’ll get better at gearing the dogs up for winter just like we will with managing the rig in the cold. It’ll take time, practice and patience – on all our parts. It’s gonna get below zero tonight in Milwaukee. Sadie is snuggled into the afghan her grandma knitted for me years ago. At least one of us is prepared for the dropping temperatures!